Field Sampling Services, Electronic Data Deliverables, and Other Value-Added Services — Babcock Laboratories, Inc. In addition to our analytical testing services, we provide other value-added services such as field services, data deliverables, emergency response services, and special project accommodation. 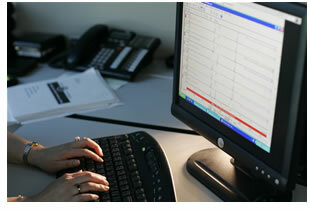 For more information about electronic data deliverables, please contact your project manager. We understand that emergencies happen. In the event that you need urgent laboratory or sampling support, Babcock Laboratories is prepared to help. We understand that your samples and projects don’t fit neatly into the network laboratory mass-production line, which is why we offer special project accommodation.